Shopventory is now integrated with Amazon Alexa! You can now restrict user permissions by location in the Access Control page in the Shopventory Settings! Faster and smoother than ever! Larger inventories will load faster. Around 400% faster to be exact! Column titles will now stick to the top of the page, making context easier when working on inventory. Scrolling is smoother than ever before. So you can find what you need quickly! New features on Purchase Orders! New and Improved date-picker function on Reports. Purchase Orders can now be canceled! Support for Shopify Multiple Locations! Improved cost calculations on Items with Inventory Tracking "Disabled"
Vendor information is now displayed in the Items & Variants tab below Categories! Vendors are also now included in inventory filters! Added a bulk 'Generate SKUs for all variants without SKU ' task to the 'Advanced' tab in the 'Settings' section of Shopventory. Clicking on "Add single variant" will show the first variant name if the variant name is blank. Same goes for new and existing items. Note that by using Shopventory services, you agree to these policies. Celebrating 5 years of Shopventory with NEW features! Shopventory is celebrating 5 years since we officially incorporated. To celebrate, we just launched two new major features! Create, edit, and receive inventory using spreadsheets! It's never been easier to make mass changes. You'll find the Bulk Upload option in the "Actions" button on the Items & Variants page. Say hello to our newest partner! 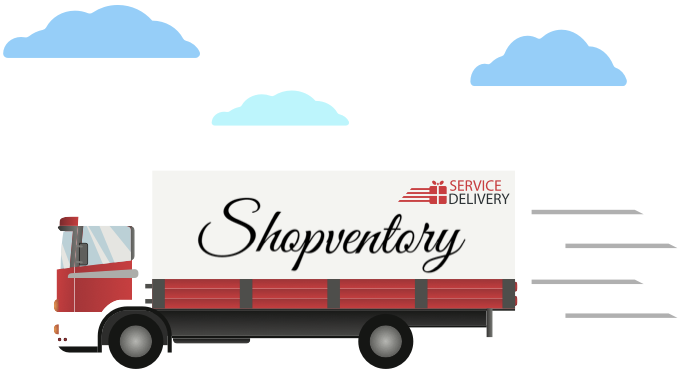 Managing e-commerce inventory is simple with Shopventory's direct integration to WooCommerce and Wordpress. You can now connect your e-commerce store from the Locations and Integrations tab in your Shopventory settings! Say Hello to the Inventory Change Report! The Inventory Change Report is designed to show you how your inventory has changed over time. This is perfect for identifying patterns and getting a high-level view of how your inventory is being managed over time. Let us know what you think! Added currency: Omani Rial (OMR) ر.ع. Added option for "No currency"